Close Up Shot Of A Positive Bald Muscular Man Swimming In A Sea On Vacation. 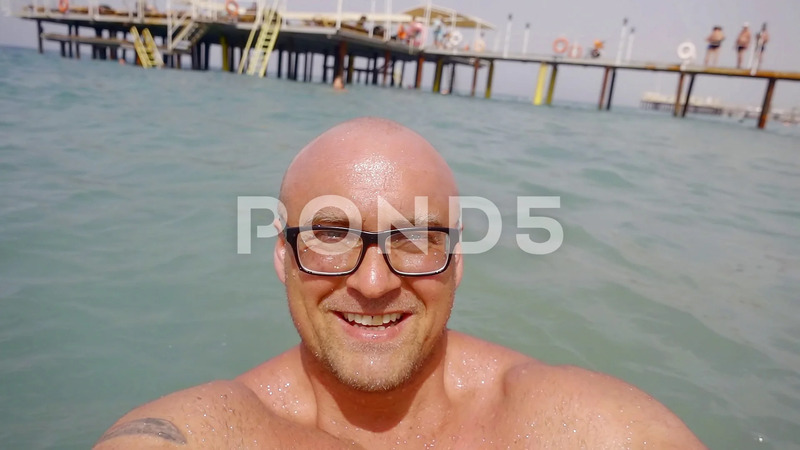 Description: Close up shot of a positive bald muscular man swimming in a sea on vacation. Happy man in glasses enjoying the day on the beach. Hot summer.